Startups are hard, and they require resilience and determination. If they were easy, everyone would be starting one. Since there aren't that many of us crazy enough to take on this huge challenge, we need to band together. Startup Victoria is all about helping you find the other people around you who are fighting the good fight as well. It's a place to celebrate your wins, commiserate over struggles and push each other further along the path to success. We all need a support team to help us keep going when times are tough, and startup founders are no different. 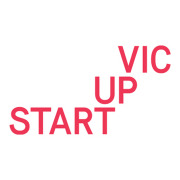 Startup Victoria is the place to find resources to guide you and people to inspire you on your Startup journey.